You wake up in the morning, take a shower, and put on your favorite pair of pants, only to discover that the slide on the zipper won't stay up, or maybe it broke off the zipper entirely. You love those pants, and don't want to throw them out over a broken zipper. Grab a few safety pins and use them to hold the slide of the zipper up, or to pin the entire length of the broken zipper closed. Pull the zipper slide all the way up to close the zipper. Stick the safety pin through one side of the zipper tape from the inside of the pants to the outside just under the bottom of the slide. Push the pin through the zipper tape on the other side of the zipper from the outside in. Close the safety pin on the inside of the pants. Overlap the two sides of the zipper so the zipper tape from both sides of the zipper overlap each other 1/8 inch. Stick a safety pin through the overlapping zipper tape at the bottom of the zipper from the inside of the pants to the outside. Stick the pin back through the overlapping tapes from the outside to the inside. Close the safety pin on the side of the pants. 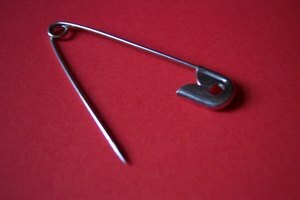 Add a second safety pin directly above the first the same way you did the first. Continue adding safety pins to hold the overlapping zipper tape. 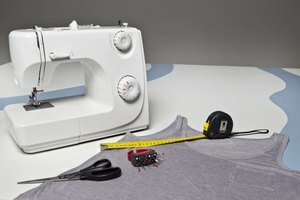 The number of pins you need depends on the length of the zipper. 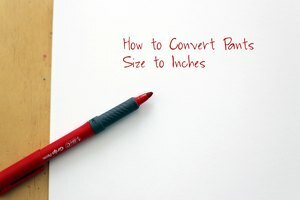 If your pants fit too snugly to pin the zipper from the inside, you can pin it from the outside. 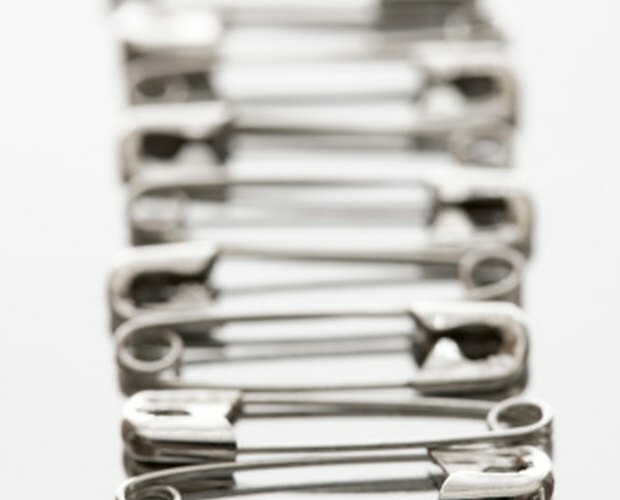 Pinning from the inside is preferable so the safety pins aren't visible, but isn't necessary from a functional standpoint.